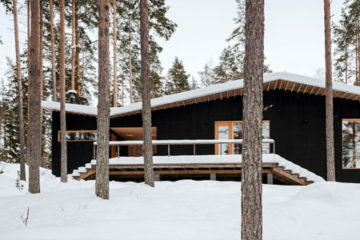 Today we assembled our Top 10 Black Homes for you to introduce some of our favorite black architecture so far. Do you know any remarkable buildings that we have missed out on? 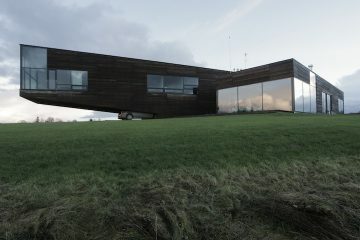 HPSA created ‘House S’ on a steep, rather small plot of land with excellent views. The owners required a cost efficient house with a maximum of 130 m², of living space. 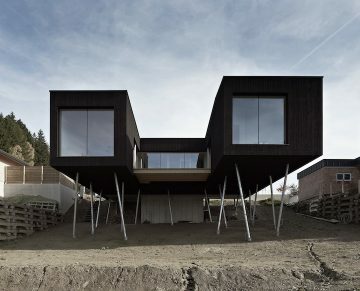 A basement was not necessary so that the architects based the whole building on pillars. 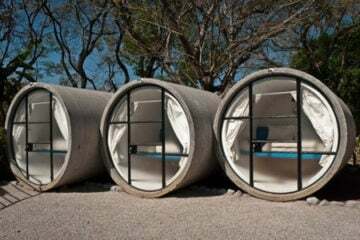 dmvA created a floating volume, a ‘tunnel’ built with trapezoidal wooden construction. The back and the front side of the volume are fully glazed, allowing full view on the garden and pond. But views coming from curious passersby are blocked by a movable partition wall. 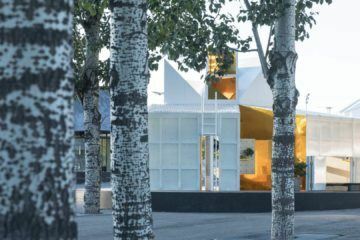 The architectural concept is based on a dialogue between old and new, cosiness and openness, glass and wood and linked by materiality and details. 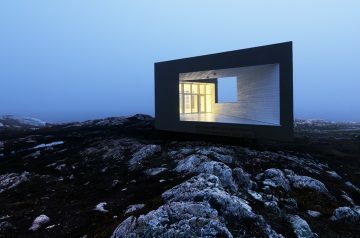 The ‘Long Studio’ by Saunders Architects situated on Fogo Island, outside of Newfoundland is making the perfect working space. 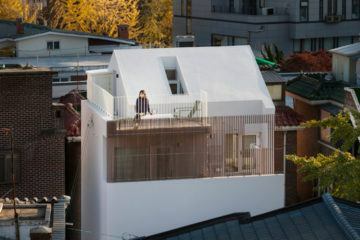 The concept of the long studio responds to the transition of the seasons. 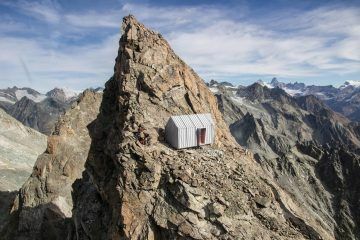 The studio is organized in a linear from that consists of three different spaces. Japanese Keitaro Muto Architects created this minimal home named ‘GINAN’ designed to give the owner an open and clear feeling as if they were in a garden. 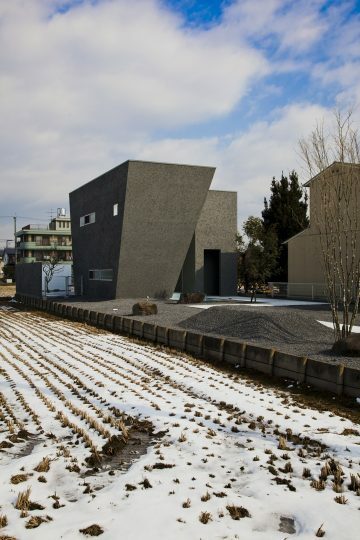 It’s contemporary look with gravel all around mimics the ground and produces a gravity defying and distortive effect. 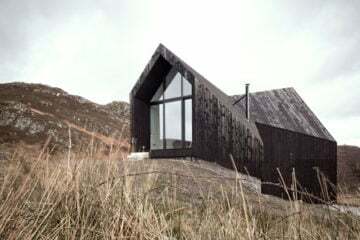 The ‘Tower Studio’ is dramatically situated on a stretch of rocky coastline in Shoal Bay, Newfoundland, where no roads guide your way and which is only reached by hiking. 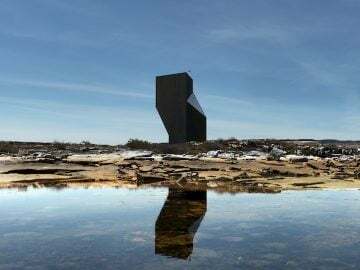 Being part of an architectural series by Saunders Architecture on Fogo Island and part of the Fogo Island Arts Corporation the studio’s sculptural silhouette leans both forward and backward as it twists upward. 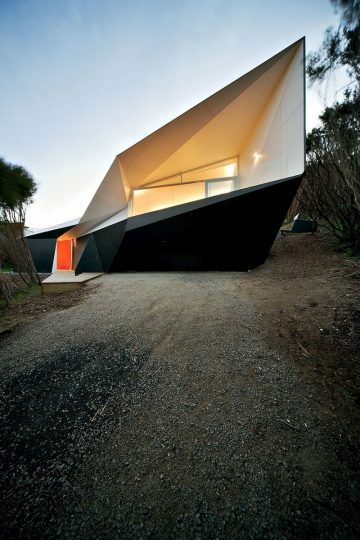 The Klein Bottle House is situated in Melbourne. 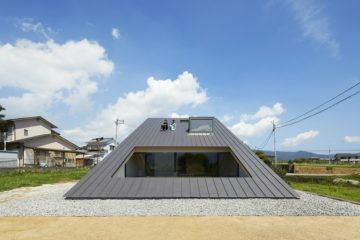 It is made of an origami like structure consisting of multiple geometric surfaces. As you walk around the house it always offers new shapes, depending on your perspective. 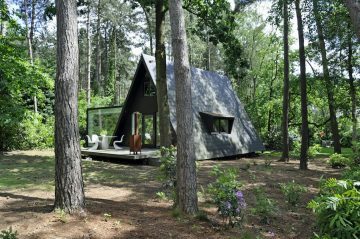 The architects tried to design the house so that it would fit harmonically into its natural surroundings. 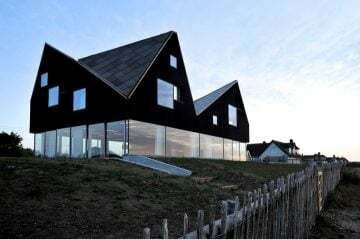 The Dune House was built by Jarmund and Vigsnæs architects for Living Architecture in England. 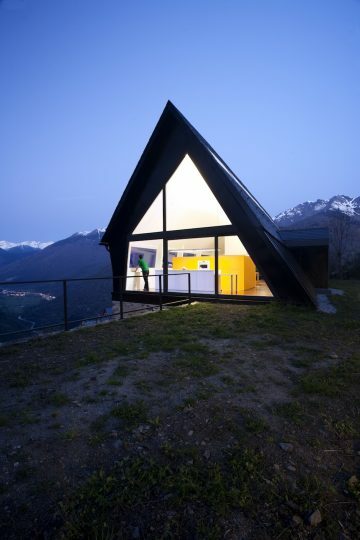 Living Architecture is renting out vacation homes for ‘Holidays in modern architecture’. To get a planning permission it was important to relate to the existing, typical, British seaside strip of houses. The roofscape, the bedroom floor, somehow plays with the formal presence of these buildings, and while the ground floor is contrasting this by its lack of relationship to the architecture of the top floor. The Utriai Residence is located in a small town called Vežaiciai in Klaipeda County of western Lithuania. This open space with its unusual form consists of wood, glass, reinforced concrete and a 15 m long steel frame slightly rising up into the air, sheltering two cars beneath it. The interior is simple, open and spacious, with soft and neutral tones and a lovely view of the valley, while the sky is reflecting from the large windows. 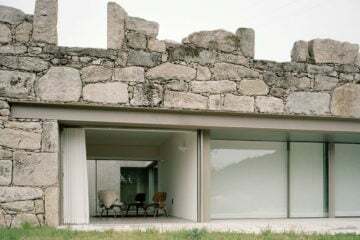 With their project ‘House at the Pyrenees’, Cadaval & Solà-Morales aimed at preserving the original structure of the house and doing a minimal yet contrasted intervention, the idea is to generate new and contemporary spaces for living, respecting the historic envelope. 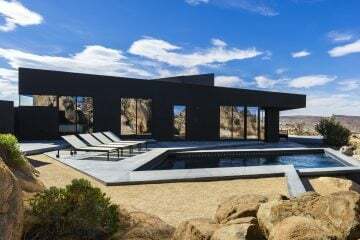 Designed by renowned creative director Marc Atlan together with the architectural studio Oller & Pejic, ‘The Black Desert House’ offers an expansive view over the Joshua Tree national park in California. The low-profile dwelling forms a distinctive desert retreat, providing constantly changing panoramas of color, light and shade.